daily dose of spazz: I want to Thank You! If there is one big thing I learned in 2009, it's who my friends are. I have friends I know online that I have never actually met and known for years that are some of my very best friends. I have friends I have known for years and have stuck by me through thick and thin. I have friends I hadn't seen in decade and when we reconnected, it was like a moment hadn't past. 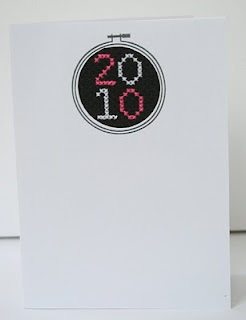 It's those friends that really deserve a card like this. Although I would have to make about 20 more to cover the great friends who have been emailing their kind words the past couple weeks. 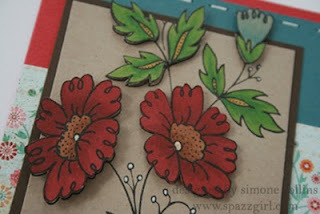 Stamped on Kraft cardstock and colored with Copic Markers, I love the results. When you color on Kraft, the color will appear darker until it dries. I colored my Glass Gem Stones with the Copic Markers to match. I haven't embossed in a LONG time. My embossing needs a little work. You may be seeing a lot of embossing in the next couple weeks. 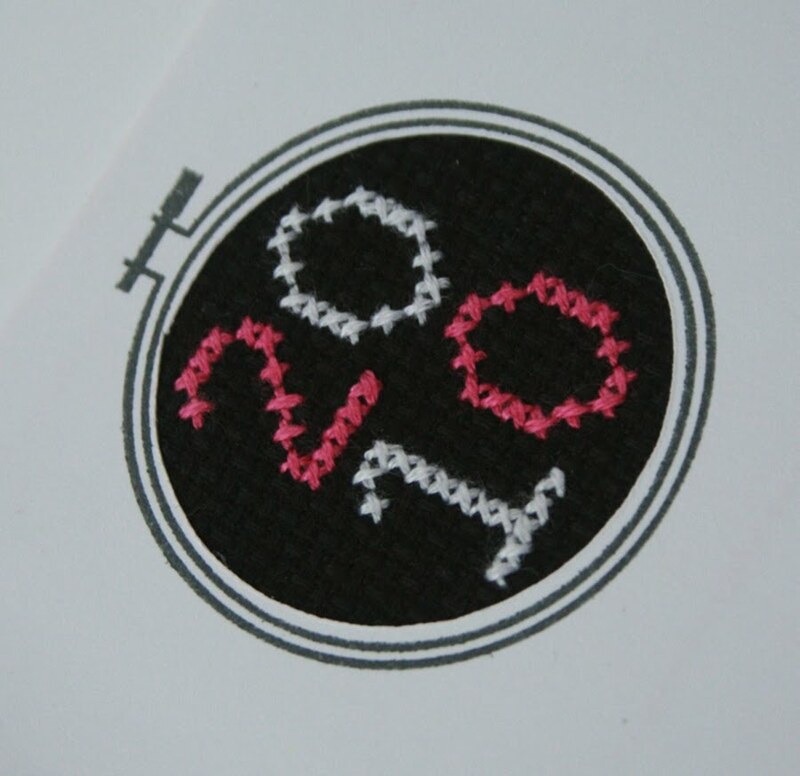 Tiny cross stitch, isn't it cute?!! She sells these in her Etsy Shoppe. It totally made my day yesterday. Off to start more cards for those cool people I call friend. Hey Simone, you are great with Copics. I am just trying to learn to do them. Love seeing what you make. You are on fire!!! This is one ROCKIN' card my friend!!! Hey Girlie - You gotta have FRIENDS!! Missin' you! I just know that 2010 is going to be a great year for you. Keep your head held high and that great smile on your face and you will succeed beyond your dreams! The card is fantastic, you will have to teach me the Copic technique. Got your images in the mail yesterday and I can't wait to play. Mine are in the mail and you should see them shortly. Hope you like them. you do such a good job coloring with Copics! I am so not ready to buy these. Happy new year Simone. 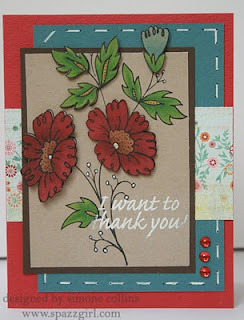 I luv the 3D effect...gorgeous card! Better things are coming your way kiddo, keep on smiling! Email me your addy, I think I have the old one & your email link is not working for some reason. 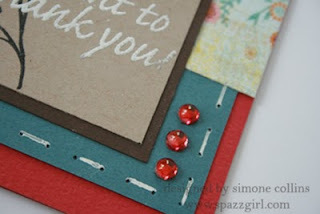 Such a BEAUTIFUL thank you card and really sweet post! I know-trying to exp all my online friends let alone having met quite a few of them is a riot isnt it? 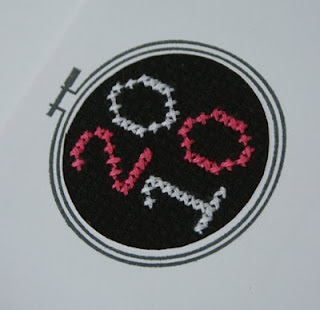 CUTE cross-stitch card, too!